Want to try your hand at creating your own Japanese comics or cartoons? You need these top 10 best anime drawing books! 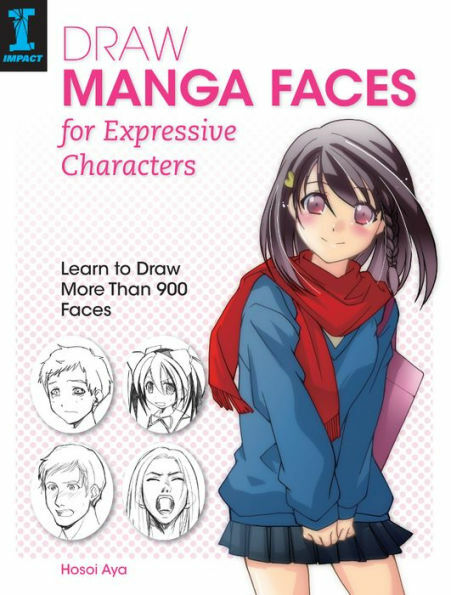 From beginners to advanced, you’ll find everything you need to create amazing works of manga art! Living in Japan for two years gave me an appreciation for all things anime, and I’m thrilled that it’s finally becoming so popular here! I’ll be honest with you, it’s not easy to master the art form, unless you happen to have major natural talent! However, if you put in a bit of practice, you can create amazing works of anime art, even if you don’t have that natural artistic talent! Read on for some of the best books to help you master it! First, though, let’s talk about the difference between anime and manga. Anime vs. Manga: What’s the Difference? Although I use the term “anime drawing books” here, if you’re looking for tips on how to create your own comics, you’re actually trying to create manga. Anime is, as the name kind of implies, animated. Manga is the “anime” that you read, and it’s usually in comic book form. 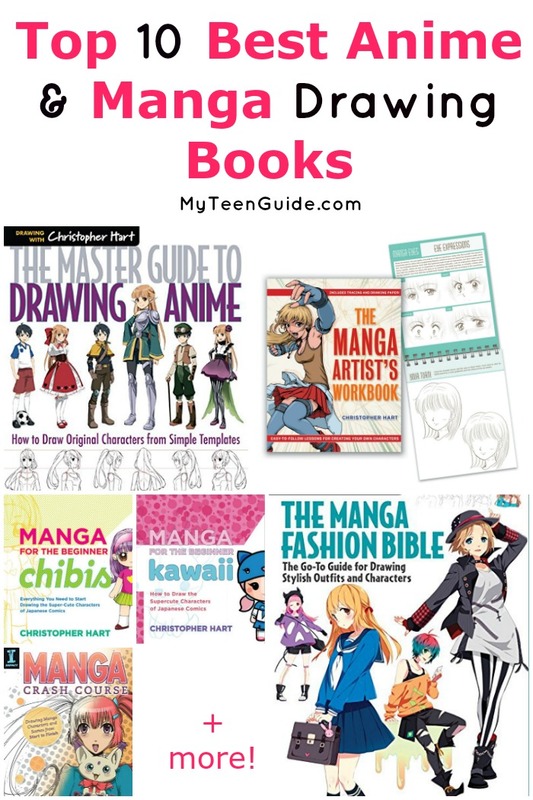 So why would I say “best anime drawing books” when some of them actually teach you how to create manga? Simple, really: knowing how to draw one will help you with the other. Anime is made up of a series of thousands of single drawings, after all! Now, let’s check out my top ten picks for the best anime drawing books, shall we? The Master Guide to Drawing Anime : How to Draw Original Characters from Simple Templates has a mouthful of a title, but it’s definitely the first book you should buy if you want to learn how to create your own manga. I suggest buying it along with the pencils, but if you’re on a tight budget or already have great manga drawing pencils, you can just get the book. 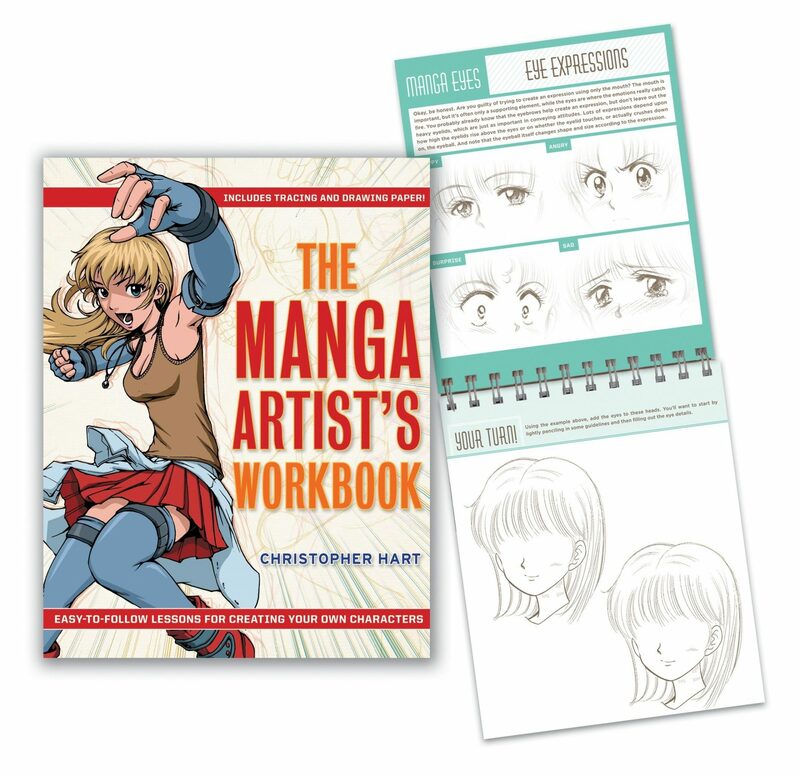 The Manga Artist’s Workbook: Easy-to-Follow Lessons for Creating Your Own Characters is another Chris Hart book that makes drawing anime a little easier for beginners. I would buy it along with the first book, they go together very well. 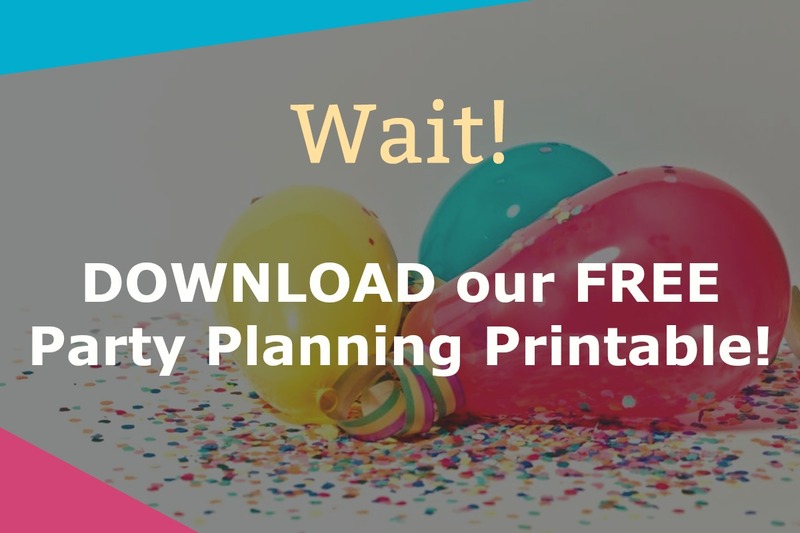 Each workbook page gives you an example of a specific feature, plus space to work on creating your own. 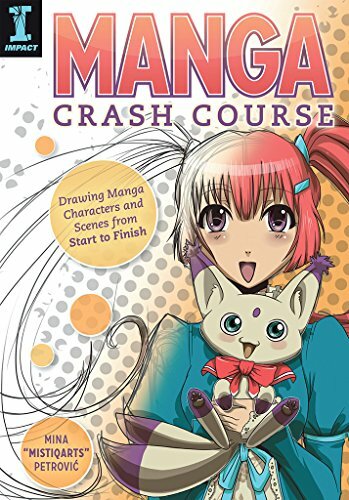 Mastering Manga with Mark Crilley features 30 drawing lessons from the creator of the hit manga, Akiko . It’s a great book to use once you’ve mastered the basics, because Crilley takes you beyond those large eyes to help you create unique characters. Outstanding galleries showing you: 101 eyes, 50 ways to draw hands, 40 hairstyles, 12 common expressions, 30 classic poses and more! 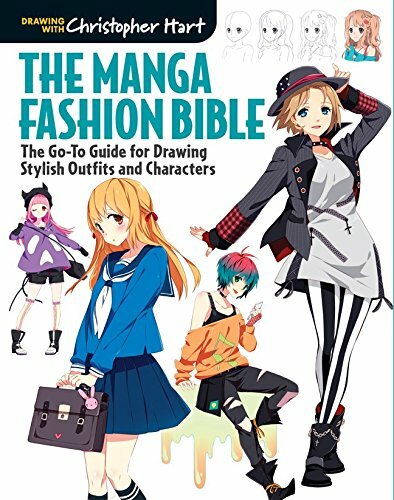 Manga and anime characters have a very unique style of clothing, so it’s just as important to master fashion as it is faces! 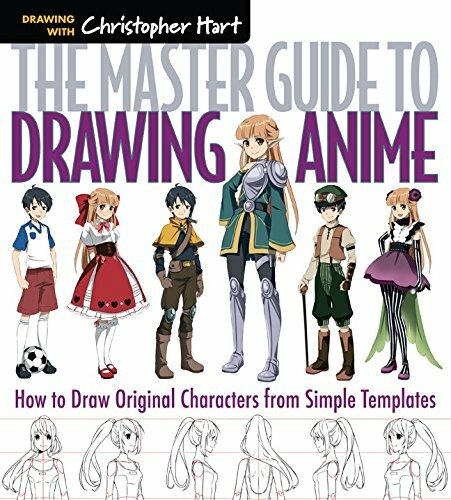 While I love Christopher Hart and Mark Crilley for teaching you how to master the basics, Manga Crash Course: Drawing Manga Characters and Scenes from Start to Finish offers some unique tips on taking your characters to whole new levels. It will also help you create amazing scenes and stories. Now that you have a good understanding of how to draw people, it’s time to move on to the other essential characteristics of anime! The title Pop Manga : How to Draw the Coolest, Cutest Characters, Animals, Mascots, and More gives you a pretty good idea of what you’ll learn! There are many different styles of manga, and once you master the basics you can start really exploring them. 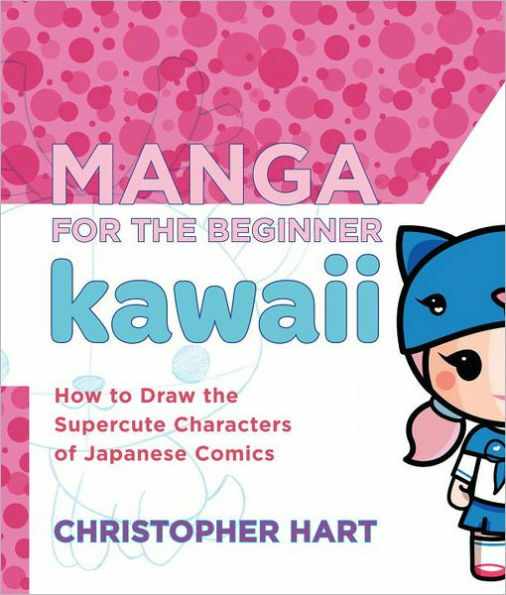 If you dream of creating kawaii (cute) characters, grab a copy of Manga for the Beginner Kawaii: How to Draw the Supercute Characters of Japanese Comics. Chibis are shorter versions of the traditional anime characters. 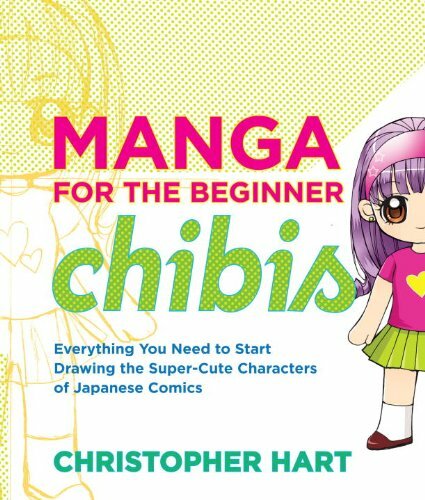 They have very different proportions, so if you want to master this style, pick up Christopher Hart’s Manga for the Beginner Chibis: Everything You Need to Start Drawing the Super-Cute Characters of Japanese Comics. Phew, that was the longest title yet! draw fabulous settings for your cute little chibis! These top 10 best anime drawing books should help you master the art from beginning to more advanced techniques! I can’t wait to see what you create! Do you have any other picks for the best anime drawing books? Tell us below!